Manufactured of Tub.10 material - the genuine material from Europe! It is excellent for dry-aging of beef as well as for dried ham. Perfect also for: Dried and cured meat; Cooked products and Fermented products. 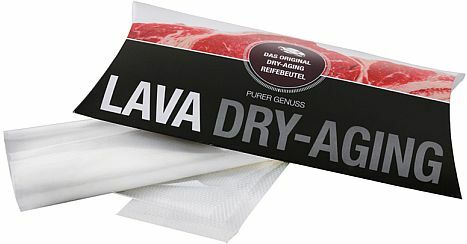 Now at home in the refrigerator (at about 3 ° C) with the Lava Dry-Aging-Bags within 3 - 4 weeks turn normal meat by maturing in perfect dry-aged beef. This material (Tub. 10) is also excellent for dried ham ans also recommended for: Dried and cured meat; Cooked products and Fermented products. 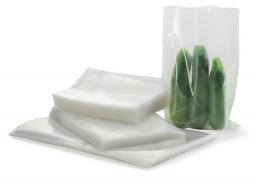 Due to the special Lava diaphragm vacuum bag, which is permeable to water, vapor and flavors will be concentrated throgh the dry-aging process in the bag. 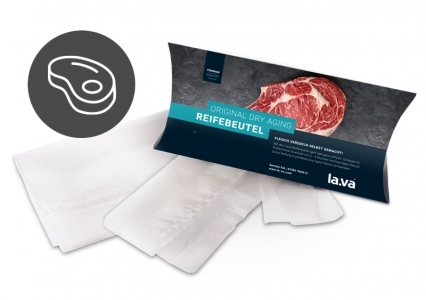 In the Lava A-Vac Dry-Aging bag a complex biochemical process takes place. This causes a taste sensation thats the best you have tasted so far. The first bite will seem as if you were eating the first steak of your life. All fine muscle fiber will be very soft. A touch of paradise, from the nose to the palate. 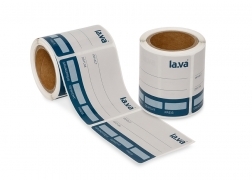 Perfect for vacuuming with your Lava Vacuum Sealer and any other Vacuum-Sealer brand. 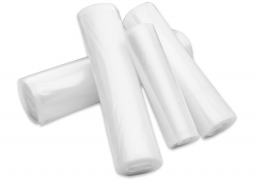 A detailed instruction manual is included, as well as the "Vacuum-Strips" for all external Vacuum-Sealers, to guarantee a fast and good vacuum! You are looking for a high-quality DRY-AGING FRIDGE?